Digital advertising is a relatively new discipline—at least when you consider how many years businesses have been messaging consumers to promote or sell a product or service. 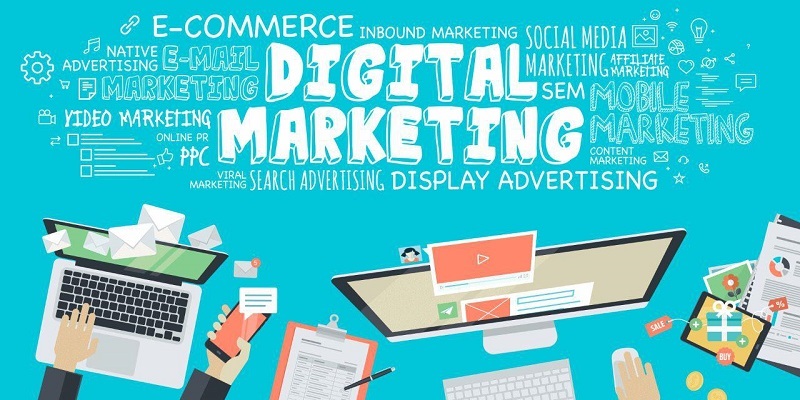 In the age of digital, online advertising is one of the most effective ways to expand your reach, find new customers and boost your bottom line. However, the vernacular that goes along with digital advertising is new too, and is often misused or misunderstood. Success in the world of digital requires many things. But, next to knowing how to execute, you also need to know how to communicate. So, we put together a list—a cheat sheet of the most important language surrounding digital advertising concepts, techniques and strategies. A/B Testing: Digital advertising success is often the result of testing different versions of your content. Slight variations in landing pages, ad copy, email and even call to actions can have a huge impact on conversion rate. A/B testing is the process of conducting experiments using two variables (A and B) to identify top performers. One version of copy (A) is used as a control, while a second version (B) is used to challenge it. A/B testing is the easiest way to measure and test different versions of the same content at the same time. Ad Blocker: The amount of advertising content directed at consumers today is staggering. It’s no surprise that ad blockers would surface. An ad blocker is basically a tool—usually an app or a browser extension—that lets you limit or ‘block” some of the advertisements that appear on your screen as you navigate the web. With the rise in ad blockers, brands have started using native advertising techniques to deliver ads that blend in with on page content. Ad Targeting: Ad targeting is the technique of delivering ads to a pre-selected audience based on specific attributes. Location, demographics, web browsing behavior and past purchases are all considered when looking for a targeted audience. Algorithm: An algorithm is an automated code that uses data to make decisions. In digital advertising, algorithms play a critical role in placing bids on media in real time, and in many ways, have become the “secret sauce” in programmatic buying. Attribution: As digital ad spend reaches dizzying heights, savvy businesses want to know what they are getting in return for their investment. Attribution is the science of getting these answers by uncovering all the touch points responsible for a conversion. For example, a customer may interact with one of your ads ad before following up with an email and a phone call. First touch, last touch, and multi-touch attribution models help businesses drill down to see exactly where and how their customers convert. With the first touch, for example, the first customer point of contact gets credit for the conversion. With multi-touch, the ad, email, and phone share partial credit. Call to Action (CTA): A call to action is copy that invites the reader to take a specific action or set of actions, like “Buy now”, or “Call today.” CTA’s often begin with a verb and may appear on web pages as buttons, links or images. Click Through Rate (CTR): CTR is a digital advertising metric that measures the ratio of clicks to impressions of an ad online. To calculate the CTR, divide the number of clicks by the number of times your ad was seen. Then multiply by 100. Across industries, the average CTR for a search ad is 1.91%. For display ads, the average is 0.35%. Conversion: A conversion is counted each time someone takes an action suggested by a call to action. It could be as simple as a click or download, or as complicated as signing up for a newsletter, filling out a form or making a purchase online. Conversion Rate: This is the percentage of visitors that take action or convert in relation to the number of people who visit a website. The conversion rate is calculated by dividing the number of conversions by the number of visitors who click an ad. Cost-Per-Action (CPA): CPA is an advertising model where you pay only when a visitor takes a specific action, like downloading a form. Cost-Per-Click (CPC): CPC is the typical cost you pay for every click registered as part of your advertising model. CPC is calculated by dividing the total amount invested by the number of clicks your ad receives. Cross-Channel Advertising: Also called omnichannel, cross-channel advertising means placing ads across multiple digital channels—search, social, display, mobile and email for instance. Most advertisers today use one or two channels. But, creating an integrated cross-channel advertising strategy is the key to reaching your audience wherever they are. Display Ad: One of the most popular forms of online advertising, display ads come in a variety of shapes and sizes and can appear practically anywhere on a website. Sometimes they appear on the top of the page or to the right of content and even on the bottom of the page. Banners are the most common display ads. Display ads reach millions of people online and work to increase brand awareness, boost website traffic and increase sales. Display advertising software is also available to help you target, purchase, manage, and track ads. Engagement: Connect with your audience in a meaningful way and you’re “engaging”. With social media, your engagement rate measures the level of interaction between your social profiles and your followers. It’s calculated by dividing the number of visitors that “like”, “share” or comment on your content by the number of times your ad was shown. Floating Ads: Ads that appear to float above the content of a website. A pop-up window is an example. Google Adwords: Advertising software offered by Google, “Adwords” helps you create online ads that target people at exactly the moment they’re looking for the products or services you offer. AdWords works on a pay-per-click model—you bid on keywords and pay for each click you receive on your ads. As the most popular search engine, Google gets incredible traffic and can deliver the most impressions and clicks to your ads. Impression: An impression is the number of times an ad was shown to a user, regardless if they clicked on it or not. People may see the same ad more than once, but each time is a separate impression. Landing Page: This is the page a user is sent to after clicking on an ad. Landing pages are highly optimized and designed to generate the maximum amount of conversions, whether it’s downloading an e-book, filling out a form or subscribing to a newsletter. Native Advertising: Promoted ad content that’s designed to look like non-promoted content on a webpage. Native ads follow the same format and style guidelines of the webpage they are placed one. Omni-channel: A multi-channel approach where the customer experience is prioritized by creating an integrated, seamless, consistent experience across channels. Pay-Per-Click Advertising (PPC): Also called search engine marketing, paid search or search advertising, PPC is an advertising model where you “bid” for ad placement in a search engine’s sponsored links, and only pay when someone clicks on your ad. Done well, PPC is a sound investment—a $4.00 bid that results in a $400.00 sale is smart. But, building a successful PPC campaign can be tricky. With keyword research, organizing ad groups, writing landing pages and optimizing for conversions, businesses often turn to digital agencies for help. Programmatic Media Buying: An automated way of buying media that makes it easy to reach the right person, at the right time and in the right place. Ads are purchased using a set of parameters that are predefined by you, the advertiser. Programmatic advertising uses data to make decisions about which ads to buy in real time, improving efficiency and increasing the effectiveness of ads. Reach: This is the total number of people exposed to or “reached” at least once by an online ad. Real-Time Bidding: The process of purchasing digital ad space in real time using innovative tools and in-the-moment knowledge about an audience. Retargeting: Also called remarketing, this is a type of online advertising that targets users who have already visited a website or online store, showed an interest, but didn’t convert are targeted again. Rich Media: An online advertising format that uses new technology to deliver more complex features, For example, audiovisual elements can enrich the customer experience. Search Engine Marketing (SEM): Also called search advertising or paid search, SEM is about gaining traffic and visibility by advertising on search engines like Google, Bing, and Yahoo!. Paid search is used in tandem with search engine optimization and organic search techniques to build a comprehensive search strategy. Search advertising allows you to place your service or product in front of people who are already looking for them. Paid search ads are targeted based on real searches, meaning ads are shown to people looking for what you offer. Search ads are billed on a pay-per-click (PPC) basis: you only pay when someone clicks on your ad. Search Engine Optimization (SEO): SEO is about optimizing your online content so that it appears or “ranks” as a top result on search engines for a specific keyword. Most online searches begin with Google. What’s more, the first five results get most of the clicks—people rarely move on to page two or beyond. Share of Voice: The amount of presence you have on an advertising channel in relation to your competition. Share of voice is usually expressed as a percentage and can be measured by using the number of conversations about your brand versus the total number of conversations about your industry as a whole during the same time period. Social Media Marketing (SMM) Social Advertising: Social advertising involves placing ads on social media sites such as Facebook, Twitter, and LinkedIn. Software is available to help automate the ad buying process. It’s common to see ads on social media in the post feed, where it looks natural.